Sumir Chadha’s Westbridge Capital/ Jwalamukhi Holdings is one of the best Private Investment in Public Equity Fund in India. In the latest issue of Outlook Business, Sumir Chadha of Westbridge Capital/ Jwalamukhi has given important pointers of the fund’s investment strategies in Indian Market. 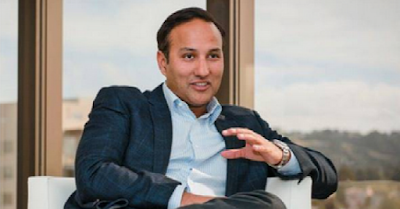 Sumir Chadha is a co-founder and managing director of WestBridge Capital. Prior to this, he co-founded and was a Managing Director of Sequoia Capital India. Sumir currently serves on the boards of SKS Micro Finance Limited and Vistaar Financial Services Private Limited.Sumir was earlier a part of the Principal Investment Area at Goldman Sachs & Co, based in New York and Singapore, where he focused on venture capital investments across USA and India. He began his career as a management consultant at McKinsey & Co., based in New York and New Delhi. Sumir served as the Chairman of the Indian Private Equity and Venture Capital Association (IVCA) from 2010-12 and currently serves on the India Advisory Board of Harvard Business School and on the Advisory Board of the Princeton Institute for International and Regional Studies. Sumir has an MBA (with Distinction) from Harvard University and a BSE degree in Computer Science from Princeton University. India has a huge number of listed companies – over 4,000 – which means there is a massive opportunity to find good stocks. In other countries you don’t find this – in Brazil, there may be 500 listed companies, in Indonesia, it’s a couple of hundred. In India, for historical reasons, it is easy to get listed and we don’t have Sarbanes-Oxley and all that stuff that inhibits promoters from coming to the public market, like in the US. If you are a patient long-term investor, it actually works to your advantage. Because when things get depressed, they get so depressed that there arises a great opportunity to buy. And when they get euphoric, they get so euphoric and that is a good time to sell. We look at volatility as our friend. Say tomorrow there is a sharp market downturn, we would love it. We have a lot of uncalled capital and cash. We would just start buying in our own names. When things get too hot we start exiting, if things get cold we use that as an opportunity to buy a lot. That is how we manage our own risk. Long term can be very long or short depending upon the situation. But, generally, we take a five-to 10-year view. The way our current fund works is that, unlike a private equity fund, it is an ever growing fund. So, in many cases, we may end up hold something for 20 or 30 years. Some of our companies we may never sell. So, our fund is designed to be a little bit more like the wealthy families in India, where if you are investing your own money, just leave it there, you don’t have to sell. But some-times, we may sell very quickly if a stock runs up a lot in a very short period. We sell because in a public market there is always the opportunity to buy it cheaper. Hence, unlike a PE fund, we enjoy a lot more flexibility and that is a huge advantage. We have a very concentrated portfolio, a really small number of high quality companies. Our top 12 companies account for about 75% of our asset value. So, we don’t hold a huge number of investments. We are not afraid to put a lot of money into these companies because we believe in them. Or, if we don’t believe in them we don’t invest. We are not like a mutual fund in India that will typically own 80 stocks in the portfolio. We find that a riskier approach. We don’t want 80. We want the top 10 or 15, so we are really choosy. In India, over the past 16 years we have invested in 200 companies. We invested in many of the companies when they were small and we were on the board. Now they are listed. We know either the promoters or the board members pretty well from many years. Also, before investing, we do the usual things: a background check, send an investigative firm to check on various things, and our own calls or references. We spend a lot of time with them, and we either get comfortable or we don’t. Any whiff of promoter risk and we walk away. For a typical structure, take Mayur as an example. The company’s promoter owns over 70% of the company and we own 10%. We have the largest non-promoter holding and then there all these small retail shareholders. The promoter is never going to sell, so anyone who wants to own something substantial will come to us. Half the time we are saying ‘no, but in the past three quarters, we sold quite a lot. But then, we sell only in a good market. If it is a bad market, we will not sell. So, when the market was really bad in 2011, 2012 and 2013 we invested heavily and we sold nothing. Then last year the market became good and we started selling, but very selectively.